If you are on a VPS and you do not have the capability to create swap disks, the next alternative is for you to use a Swap File. A swap File will act as Memory when your VPS Memory (RAM) is completely depleted. 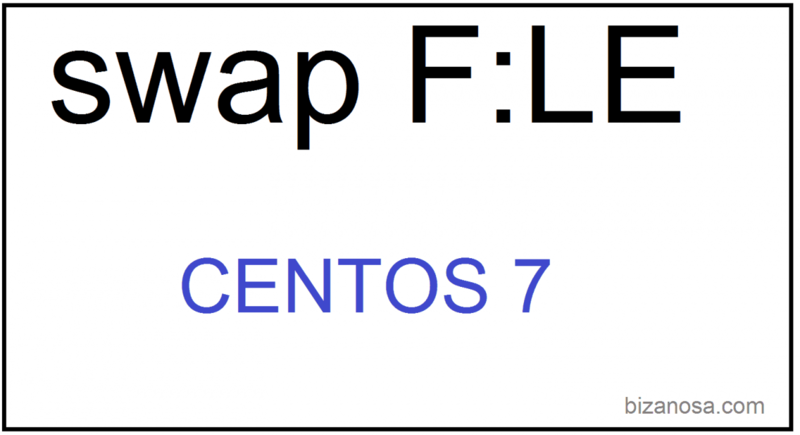 In this short post let’s see how to create a Swap File in CentOS7. Watch the video embedded above to learn how to create a Swap file in Centos . Use the following command to check the Swap info for your Server. This will help you understand if your Linux server already has a swap file / disks created or not. You may also use the following to check your server Memory available. Utilize the following command to create the file in the root directory. Note that, theswap is the name of the swap file, you can rename yours if you so wish. in the above command, 2048 is the size of our swap, theswap is the name of our swap file. Convert the created file to a swap file using the following command. Next, let’s add the new file into /etc/fstab so that it can be part of the mounted partitions/memory . Once the config file /etc/fstab opens up in the nano editor, add the following at the end of it. Then press CTRL X to exit , press Y to accept changes , then Press enter. You may also use the following to check it in your available memory. You may even create another swap file if you so wish, just rename the file to something different. There you go, you have a new swap area on your Centos 7 server.